We see city folks migrating north these days; yes, you read that correctly. It’s happening! 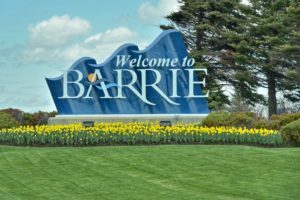 Torontonians moving to Barrie is becoming more and more common. In the summer of 2015, I moved back to Barrie after living in downtown Toronto for 14 years and I have no regrets about my decision. If you’re not familiar with where Barrie is located, it’s about an hour north of Toronto, located on the western shores of beautiful Lake Simcoe. Barrie is more than just that small city you pass through on your way to the cottage or Wasaga Beach. With a population of almost 144,000, Barrie is a fast growing city with an array of positive features to highlight upon. First of all, Barrie has some of the most affordable housing north of the GTA. In April 2016, the average price for all homes in Barrie was $403,785, an increase of 12.5% from April 2015. In Toronto, the average price for all homes in April 2016 was $739,082 which was up by 16.2% from the year before (stats courtesy of Barrie & District Association of REALTORS® Inc. and Toronto Real Estate Board). These statistics make the Barrie housing market much more affordable, especially for first time home buyers looking to get more for their money. If you work in Toronto, how will you get there? There are many commuter options for those that don’t drive like the GO train and GO bus. 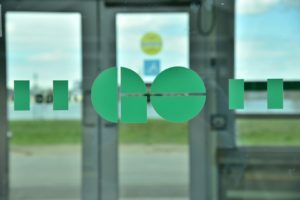 With Metrolinx’s proposed improvements and expansion of the Barrie GO train line, commuters will reap the benefits of increased services times and faster trains within the next 10 years. Think that’s a long time to wait? Think about the increase in your property investment once the GO changes are implemented. Now is the perfect time to buy in Barrie! Now that summer is around the corner, it’s the perfect time to highlight some of the fantastic things to do in Barrie during the warmer seasons. Barrie has a beautiful waterfront, Kempenfelt Bay, that you can actually swim in! For the water lovers, there is never a shortage of activities to enjoy on the water. For those that like Shopping, there are a wide variety of shopping venues including Georgian Mall, Bayfield Mall, Park Place, The 400 Market, Barrie Antiques Centre, Downtown Barrie and just south of Barrie are the Tanger Outlets in Cookstown. There are also so many tasty restaurants in Barrie to choose from for every type of foodie. And for those nature lovers, there is an abundance of green space with hiking and biking trails, like one of my favourite spots, the Ardagh Bluffs. For dog owners, like myself, you’d love the off-leash dog park at Sunnidale Park. So, if you’re a Torontonian who doesn’t want to be house poor and is looking to move outside of the City of Toronto, let me show you what your money can get you in Barrie – I know you’ll be pleasantly surprised. Great read!! 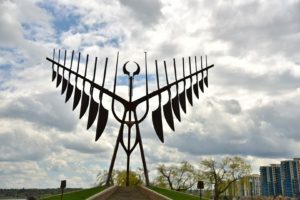 Barrie is definitely a beautiful city with so much to offer.